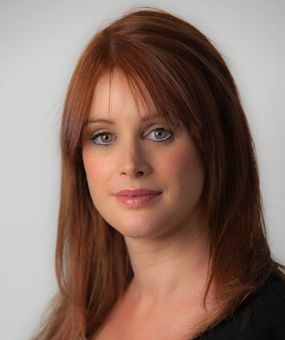 Alice Sims specialises in construction and engineering disputes along with professional negligence, regulatory and insurance claims related to these sectors. She has particular expertise in energy-related disputes (both onshore and offshore) and has acted for clients in a wide range of litigation concerning ships, renewables, nuclear, oil and gas projects. She also regularly acts in cases relating to the sale and supply of chemicals and the construction of chemical processing plants. She is familiar with all of the major standard forms and standard terms of appointment including NEC, JCT, RIBA, LOGIC, RICS, FIDIC, ICC, ICE and IChemE. She appears in domestic and international arbitrations (conducted under various different rules including ICC, LCIA, SIAC, UNCITRAL), the High Court and Court of Appeal and also undertakes all aspects of alternative dispute resolution including representations to adjudicators and enforcement proceedings. Alice also accepts appointments as a mediator (she is TECBAR accredited). Alice’s popularity with clients and solicitors, whether she is working as part of a team or as sole counsel, stems from her hard working and hands-on approach, which complements her allround advocacy and paperwork skills. Alice accepts instructions on a public access, licensed access and pro bono basis. Counsel for the employer in a multi-million pound ICC international arbitration concerning a high-profile development in downtown Moscow. Acting for a contractor in a High Court dispute concerning delay and disruption to a major construction project connected with the London Olympics 2012. Junior counsel at first instance and in the Court of Appeal in a claim against the fabricator and erector of steel at Wembley Stadium. Acting for a sub-contractor in an international arbitration concerning a commercial dispute about oil and gas separation plants in Libya. Junior counsel for Alstom Power in a multi-million pound dispute concerning a chemical processing plant. Junior counsel for a leading manufacturer of petro-chemicals in connection with a multi-million pound dispute against a specialist designer of chemical processing plants. Advisory work for a main contractor in relation to a dispute arising under an NEC contract and concerning the construction of treatment works within a nuclear power plant. Advising the main contractor of a hydropower project in Kenya in relation to a multi-million dollar arbitration against the employer involving the FIDIC form of contract. Advisory work for a main supplier in connection with the sale and supply of ethylene. Advisory work for a land owner in a dispute involving the Water Industry Act. Junior counsel in a dispute concerning the functioning of bespoke servers in a leading mobile network provider’s main UK call centre. Counsel for a leading telecommunications supplier in a claim relating to the installation of a telecoms system. Counsel for a leading telecommunications supplier in claims relating to the laying of telephone cables and the installation of telegraph poles. Junior counsel for a main contractor in a multi-million pound TCC dispute about the construction of a soft yoke mooring platform in Russia. Acting for the main contractor in a multi-million pound ICC international arbitration concerning a large offshore wind farm. Acting for the Defendant in connection with an alleged commercial fraud concerning the purchase of an oil platform in Brazil. Acted for a firm of engineers in relation to a multi-million pound claim arising out of the design of a heating system in a landmark building in London. Instructed by AMEC in a multi-million pound professional negligence claim against the structural engineers responsible for the construction of one of the largest concrete car parks in the UK. Counsel for Brookfield Construction UK Ltd in a multi-million pound professional negligence and engineering dispute arising out of the Wembley Stadium project. Acted for a firm of architects in proceedings undertaken by the ARB and RIBA in connection with an allegation of mis-conduct. Acted for a Council in relation to a party wall dispute concerning rights of supports and easements. Acted for a landowner against a Council in relation to subsidence caused by tree roots. "Extremely efficient and direct. She is able to very quickly impress upon witnesses the way their statements should be made." "Forthright and very precise in her approach, she develops relationships with others on the case really well." "She deals well with extremely difficult clients"..."She is very efficient in helping to prepare witness statements." "Her ability to distil complex technical details into concise pleadings when under high levels of pressure is very impressive." Alice has a strong commitment to pro bono work. She is a member of the Bar Pro Bono Unit and in 2004 undertook an internship in India where she carried out fieldwork and research focusing on the land rights of tribal people who had been displaced by mining projects. Alice enjoys independent travel and has travelled extensively in the Indian sub-continent, S.E Asia, Africa and South America. She is a PADI qualified ‘Rescue Diver’ and has logged over 50 scuba dives around the world. She is a keen skier and also enjoys yoga and horse riding.